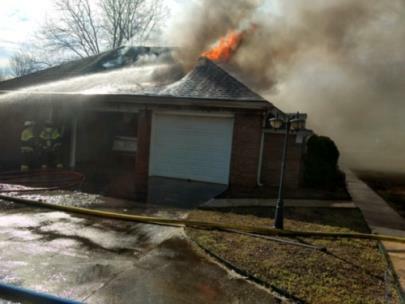 A fire destroyed an Ooltewah home Sunday afternoon. Tri-Community Volunteer Fire Department responded and arrived on the scene confirming fire through the roof. Tri-Community VFD requested a Mutual Aid response for additional manpower. Highway 58 VFD and Chattanooga Fire Department responded to the fire. Bradley County Fire Rescue and East Ridge Fire Department stood by at Tri-Community’s District for any additional emergency calls. Hamilton County Marine Rescue responded for rehab. 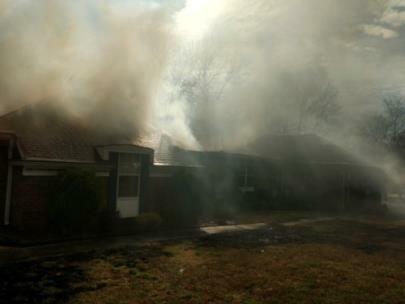 Once firefighters confirmed everyone was out of the home, firefighters entered the structure to extinguish the fire. Moments later, firefighters were ordered to evacuate the home due to the unstable roofline and partial collapse. Firefighters moved to a defensive attack to get the fire under control. No injuries were reported but HCEMS was on the scene to any potential injuries to firefighters. Tri-Community Asst. Chief Danny Hague reported the house is a total loss and damages are estimated at $350,000.